With its statement-making headboard, the Sienna flare upholstered bed embodies dramatic contemporary style. The upholstered headboard features winged sides that flare outwards for a striking silhouette and a more private experience as you sit up reading in bed. The low profile frame continues the modern aesthetic, while tapered feet in an Espresso finish pose a sleek contrast. Customize your fabric option to create a bedroom that reflects your chic style with the head-turning Sienna flare upholstered bed. 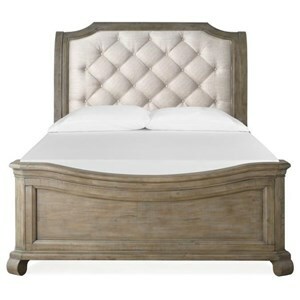 The Interiors - Beds King Sienna Flare Upholstered Bed with Tapered Feet by Bernhardt at Reeds Furniture in the Los Angeles, Thousand Oaks, Simi Valley, Agoura Hills, Woodland Hills, California area. Product availability may vary. Contact us for the most current availability on this product. 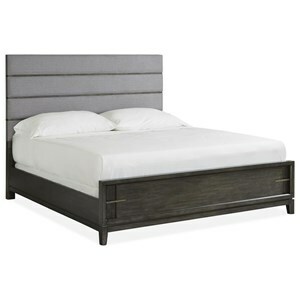 763-FR66 King Sienna Footboard and Rails 1 88.5"
763-H66 King Sienna Flare Upholstered Headboard 1 94.75" 60"
The Interiors - Beds collection is a great option if you are looking for Contemporary furniture in the Los Angeles, Thousand Oaks, Simi Valley, Agoura Hills, Woodland Hills, California area. 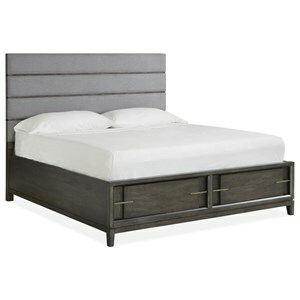 Browse other items in the Interiors - Beds collection from Reeds Furniture in the Los Angeles, Thousand Oaks, Simi Valley, Agoura Hills, Woodland Hills, California area.